It has been clear for a while now that Apple is getting rid of the old (so long, iPod) and moving towards future technologies. Augmented reality, for example, is one of Apple’s main focuses today and news surrounding developments in AR has been plentiful. We’ve known for a while now that Apple has been working on AR glasses, but it’s still left to the imagination as to how he AR glasses will work. Now, a new patent application sheds some light on what we can expect from the future wearable. A patent application by AR software developer Metaio, which was acquired by Apple back in 2015, recently surfaced under Apple. It shows a method for representing points of interests like a building or the inside of a car on an iPhone’s screen. The patent was first discovered by Patently Apple. In theory, Apple wants you to capture the environment via your iPhone’s camera and the screen would then overlay the context. The Cupertino giant also sees this technology coming into play for its AR glasses, wherein your eyes will see the environment, and the glass will overlay it with information. The report speculate based on the patent filing that Apple means to make this technology work for both the iPhone and the smart glasses in tandem. 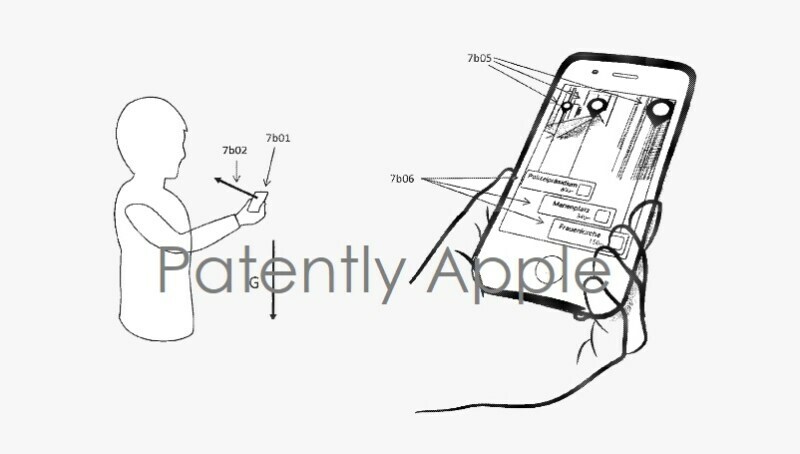 “The mobile device may perform an action related to at least one point of interest if at least part of the computer-generated virtual object blended in on the semi-transparent screen is overlapped by a user’s finger or device held by the user.” As far-fetched as this may sound, it does show that Apple is serious about where it sees AR going. Many of the patents filed don’t see the light of day so this could just be a pipe dream for now. It’s not just AR glasses. Apple at its recent developers conference announced iOS 11, Apple’s next big software update, which among other things goes big on augmented reality. The ARKit provides fast and stable motion tracking, ambient light estimation and so on which is made possible by using the sensors in the iPhone and iPad devices. This was followed by an acquisition of German company SensoMotoric that specialises in eye-tracking solutions. These can seen as Apple’s first steps towards laying the foundation for its smart glasses.